This article applies to Android only. 9.2 My Pascal application crashed. How to get a stacktrace? LCL-CustomDrawn-Android utilizes a minimal Java application which communicates with our Pascal library and sends all events to it and also obeys commands from it. The communication is done via JNI as supported by Google. The controls are not native, instead they are all drawing using TRawImage+TLazIntfImage+TLazCanvas and events and the painting are clipped using LazRegions. The drawing itself is done in Pascal using jnigraphics to draw on a Bitmap Java object which is then drawn by the minimal Java activity on a SurfaceView. 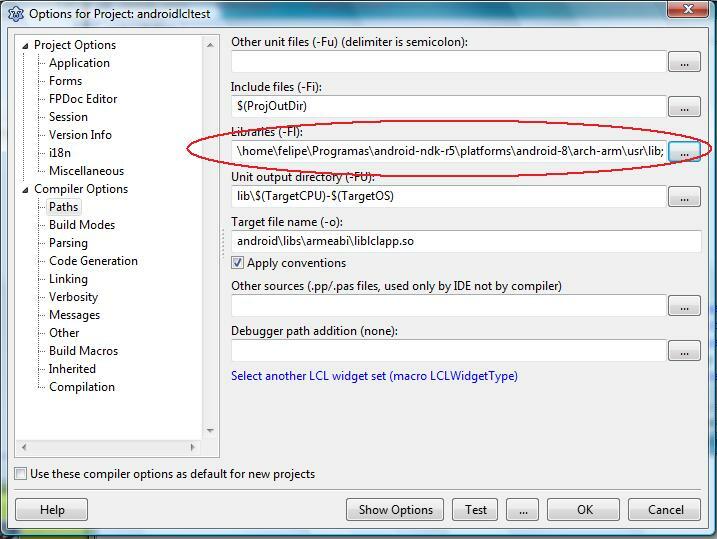 Our previous and short-lived attempt to write an LCL Interface for Android (LCL-Android) utilized a non-standard method of using native executables which communicated with a Java machine via Pipes. This method was abandoned because it was considered unsupported by Google. It is considered obsolete and people should use LCL-CustomDrawn-Android instead. 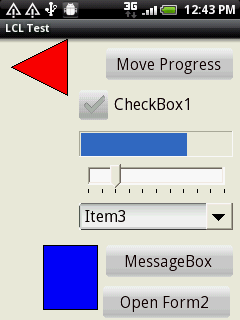 This older interface was documented in Android Interface. See Android Programming, also includes caracteristics of the various phones relevant for programming. The cross-compiler instructions below are probably obsolete, since support for the Android target is present in the trunk (development) version 2.7.1 of FPC. Here are up to date instructions: building a cross-compiler for Android target. The fastest way to configure Free Pascal and Lazarus for Android development is simply using a pre-configured virtual machine image which already includes Mageia Linux 1, KDE, Lazarus 0.9.31, Subversion, Free Pascal for both x86-linux and arm-linux (targetting Android), the Android SDK, the Android NDK, Java, Ant, Gtk2 and all it's development packages, the GNU debugger (GDB), subversion and everything else necessary for building Android applications with Lazarus. The download like for the virtual machine image is: https://sourceforge.net/projects/p-tools/files/Lazarus_for_Android_VM_Image/snapshot_30_dez_2011/ (warning: the VirtualBox image was created using the Mac OS X default Zip utility and not all zip applications can handle it. The Mac OS X default zip application can, and PeaZip too and WinRAR too. Both 7-Zip and the Windows 7 default unzipper fail. The virtual machine image is composed by two files: “Android Devel VM.vbox” and “Android Devel VM.hdd”. Both need to be located in the same folder and also note that the source forge download is a zipped file, so it needs to be unzipped. After unzipping the VM image has 5,2GB. To use this virtual machine one should install Virtual Box and then use it to open the .vbox file. Then one can already use this Linux virtual machine to build Android applications. 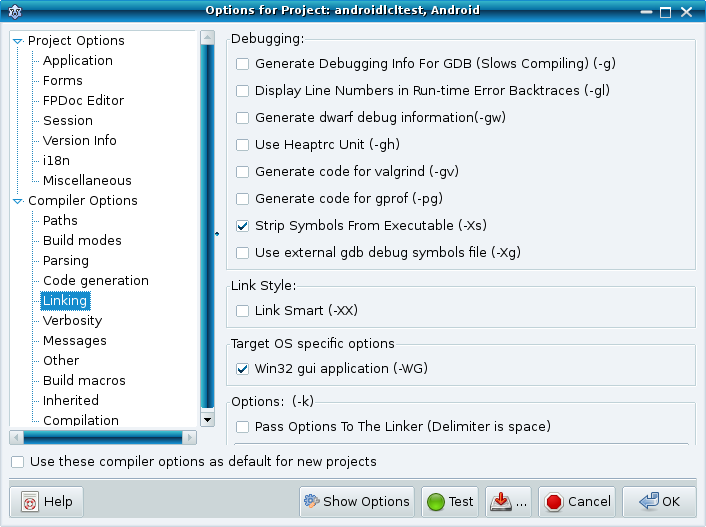 The process of building an application involves first opening Lazarus and building the application in Lazarus, for example the example project available on ~/Programas/lazarus/example/androidlcl/ and then going into the Linux terminal, navigating to ~/Programas/lazarus/example/androidlcl/android and issuing the command “ant debug” which will generate the APK file in ~/Programas/ lazarus/example/androidlcl/android/bin/LCLExample-debug.apk. There are two users in the virtual machine: “root” and “pascaldev” and both of them use the password “root”. Note that the virtual machine contains the Lazarus source code from when it was created, but one can also use svn update to get the latest code. Note that this involves some risks, however, as the trunk version might ocasionally contain problems. Download from Google and install both the SDK and the NDK for Windows. If you haven't done so already, then install the Java JDK and the Android SDK and NDK. I recommend the JDK 6 (JDK 7 doesnt work! ), latest SDK and the NDK version 7. The Windows NDK 7b has a serious bug:  Some people also report that 7c works fine, and I tested that 8c works fine. See Setup_Cross_Compile_For_ARM and make sure to use the option OPT="-dFPC_ARMEL" for building the compiler. 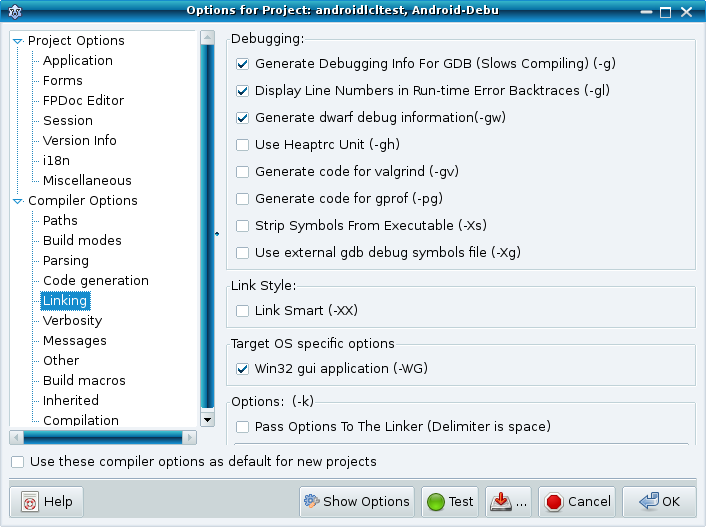 Now we are ready to compile Android applications using the Lazarus IDE! Configuring the fpc.cfg file isn't necessary, the old compiler will automatically find the new compiler and it's object files. Configuring Lazarus itself to use the new compiler should not normally be necessary because fpc should be able to find the symlink created, but if you have trouble in this part you can try to hard code the compiler path to use the new crosscompiler. To hardcode the compiler path in cause of trouble go to the menu "Tools->Options" and change the "Compiler Path" to "/usr/bin/ppcrossarm"
The actual lazarus release contains a error, they create a .so.so - file instead of a .so - file. So you have to change this manually in lazarus. 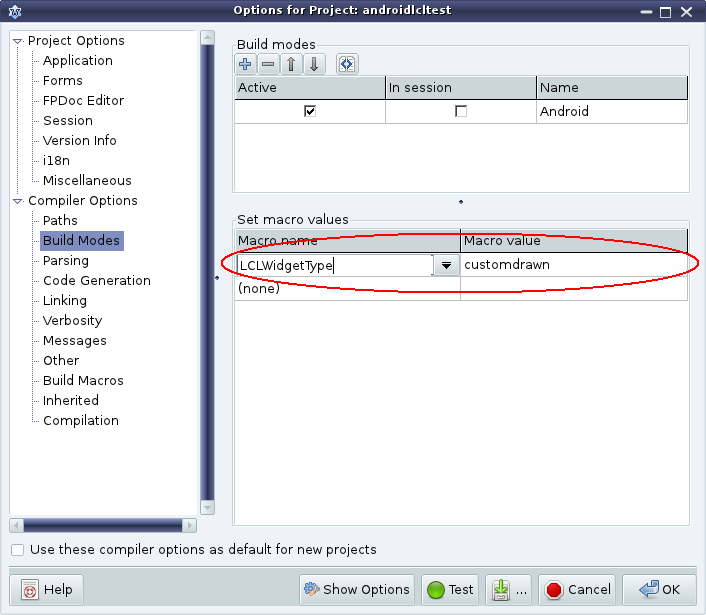 Then you will need to modify the build files to change them to your new project name and your new Java package name. 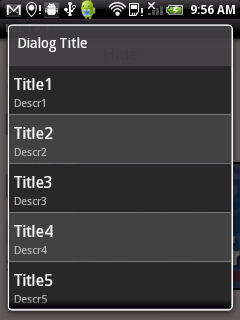 You need to adapt the exported JNI method names to your Android Package Name. Besides the LCL project building, such as configuring a proper LPI and having a library main project file, one also needs to add all of the android project structure. 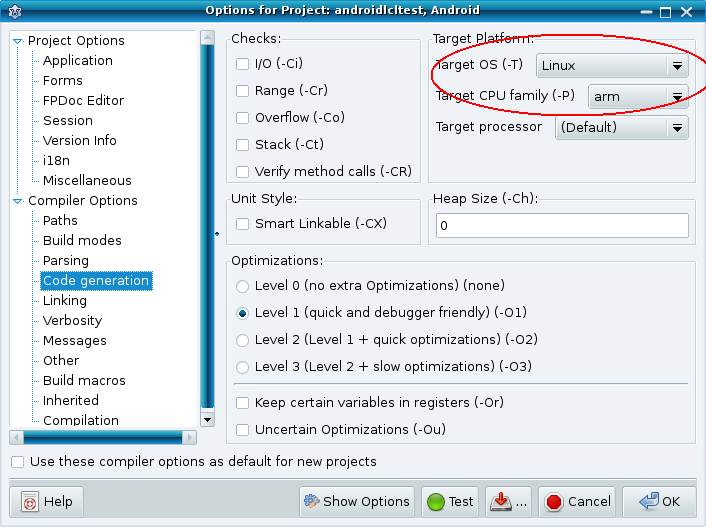 Simply copy from the example project in lazarus/examples/androidlcl and adapt it to the new project. Things to change are the path to the SDK, the package name. The package name needs to be updated in the build files, in the directory structure android/src/packagename, in the activity java source code and also in the main library pascal source in the exports section. Ant and all dependencies must be installed using the package management of your linux distribution. In Windows we provide a APK build system which uses only the tools provided in the Android SDK and therefore does not require ANT. which can be copied from the example application to your own project folder. You have to fix everything after SET to your own paths. Don't forget adjusting the android version from APK_SDK_PLATFORM! To build the APK file. Also remember to edit this batch file to reflect your paths. Don't forget changing the set-variables in the top AND change the pw (see above where). And then test one of the hypotheses in the next subsections. If it mentions anything like 80386 or gtk, then your program was compiled for linux-x86 and gtk2, not for Android like it should. My Pascal application crashed. How to get a stacktrace? Read also this thread in the Google NDK group about converting addresses to lines: http://groups.google.com/group/android-ndk/msg/2ed2286e85f4ccdd? Because of FPC bugs related to Android support I have rolled my own branches. The linker in android-ndk-r7b (path C:\Programas\android-ndk-r7\toolchains\arm-linux-androideabi-4.4.3\prebuilt\windows\bin\arm-linux-androideabi-ld.exe) crashes for no reason while linking LCL apps =( The linker from android-ndk-r7 and r5 work correctly. The problem was that vm^^.GetEnv would crash in HTC Wildfire, Alcatel and in the emulator with SIGILL but not in Xperia Mini, HTC Desire HD, Motorola Atrix and other smartphones. The answer was that one needs to specify -CpARMV6 when building because older instructions might fail in some devices. Also try restarting the emulator or running on a different device. 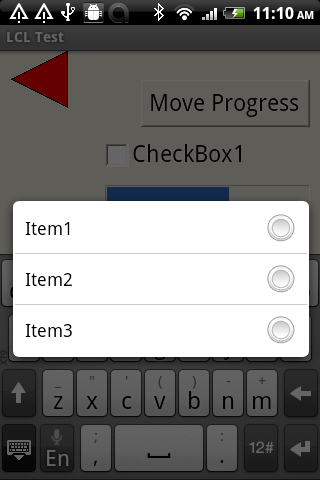 LCL-CustomDrawn-Android uses libjnigraphics.so and liblog.so at the moment. There is no documentation about what the size in Paint.setTextSize represents. Some people say it is pixels, but to me it looks something else because it seams to differ across devices. It can draw on a transparent bitmap and use alpha transparency to implement anti-aliasing and subpixel rendering. The text gets quite beaultiful. In my investigation this happens probably because the TCDEdit will request a full control invalidate on each timer tick, which currently will main a full form invalidate, so the GC needs to collect the bitmaps and other paint objects when painting that often. When clicking on the form the LCL focus will refuse to move from the Edit to the Form because this behavior seems to be hard coded in the LCL, although maybe we might change this for Android. So even while we set focus into the form, the LCL refuses to do that and keeps its focus in the Edit, thus we have a focus mismatch. This might eventually be fixed in the future. This method will run a native item selection dialog, if the platform has one, or result false without doing anything otherwise. To allow the user to select items from a list more easily we offer a routine which launch dialog with the native ListView. LCLIntf.OnListViewDialogResult will be called with the selected item, with a zero-based index, or -1 if the dialog was cancelled by the user. One way to cancel the dialog is when the user pressed the back button. Note that there are 2 more parameters in the end of this routine with default values, which allow choosing the color for the odd and the other for the even rows. The color is an integer of 32-bits in the ARGB format, don't use TColor here! This page was last modified on 19 March 2017, at 01:15. This page has been accessed 73,055 times.